My blog is my safe place. It is the place I go to babble, express myself, unwind and unload as well. I take my blog pretty seriously. I like being consistent, creative and always looking for new ideas to keep it fresh. This is fairly easy to do when and if you are a full-time blogger as your income relies on this. However, when you are a full-time student with your blog being your hobby, it becomes pretty difficult to create a balance between the two, especially if you want to be consistent. University is hard, obviously, but maintaining and managing a blog whilst completing a zillion assignments... it's a whole new level of multi-tasking. Since I am quite big on blogging and doing well at university I thought I'd share some tips and tricks on how to balance the two simultaneously! By having a schedule for your blog, you'll know how much content you want to post each week or month. This will make it a lot easier when it comes to planning and writing up some posts. I know I currently enjoy posting 2-3 times per week and therefore need to have quite a few ideas per month to keep inspiration and motivation flowing constantly. If I have a chaotic month coming up, I will schedule a bunch of posts the month before. This makes it easier when it comes to being consistent as I don't have to worry about being inactive for weeks at a time when I am busy with university assignments. Also, I like to have some back up posts that aren't really time sensitive and can be posted at any time. If something unexpected pops up (i.e. : last minute assignment manic) you can just put up one of your back up posts! I keep a notebook with several blog post ideas that I would like to post some day. This also includes photo ideas and inspiration from other blogs. There often comes a day in the week where inspiration strikes and I am in the mood for a proper blog-writing and scheduling sesh and this list comes in handy for exactly that! That way I'm not faffing around with photographing products, outfits or whatever I want to blabber on about. When I am particularly busy, I find it easy to post a quick post that isn't too long but is to the point. Three-minute-reads are quite popular on some blogs and could come in handy for you, to write, and for busy blog readers to consume. I find that wish lists, favourites, top ten and sometimes even outfit posts can be quite easy to quickly plan, write, photograph and wack out! After writing blog posts for over a year, I find that I have a bit of a routine when it comes to writing a post. This routine has gotten quicker over time and now I can sometimes write a few posts up in about a few hours. During hectic weeks, I dedicate at least 4 hours out of one of my free mornings to my blog. I think that time is all you need to maybe schedule a week or months' worth of posts (depending on how often you publish). Sunday mornings are a great opportunity for this as it is relaxing, not too strenuous and I still consider it 'me-time'! That's just a few ways I balance blogging and full-time university! As you may be able to tell, I currently do prioritise university over blogging but still manage to plan for my blog amongst all the final year uni chaos. I think a balance between the two is important so you can keep up with both and do well too. I think these tips could easily apply to working full-time and blogging too, but when I get to that stage, I'll let you know! 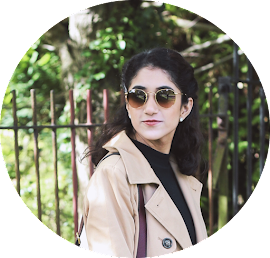 How do you balance the uni life and blogging? Loved this, so many great tips!